Gamers considering purchasing the new Star Wars: Battlefront game that will be available in a few days time and officially launching on November 17th in the US and November 19th in the UK for PS4, Xbox One and PC. Might be interested in new gameplay footage that has been published by Ian Higton on the Xbox One thanks to the daily access offered by a EA Access subscription. Unlike the beta footage which has been circulating for the last few months the latest gameplay provides a look at what the game is like with everything unlocked and in its final version. Check out the one hour twenty minute gameplay on Microsoft’s Xbox One in the video below. – The Most immersive and Photorealistic Interactive Entertainment. – Ground-based Combat on a Galatic Scale. – Master the Battelfront with Iconic Star Wars characters. 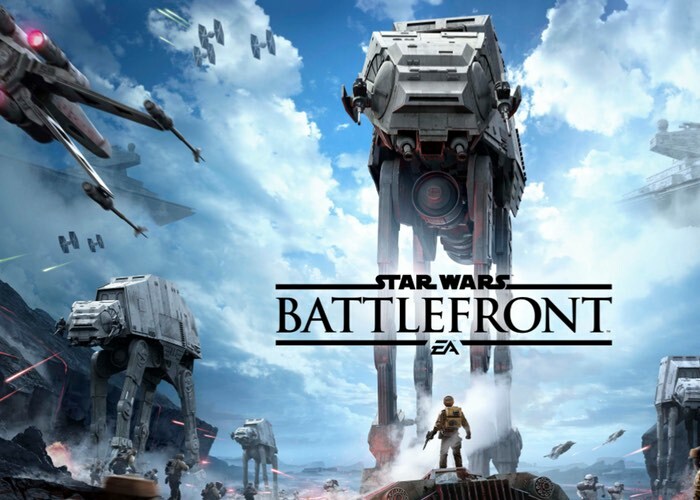 – Take to the skies in Epic Star Wars Dog Fights. – Made for Jedi and Padawans Alike. The ominous thud of an AT-AT stomping down. Rebel forces firing blasters. Imperial speeder bikes zipping by. Intense dogfights between squadrons of X-wings and TIE fighters filling the skies. Immerse yourself in the epic Star WarsTM battles you’ve always dreamed of and create new heroic moments of your own in Star Wars Battlefront.